Aikido Yoshinkai NSW is a full time dojo located in Marrickville. the dojo has a sprung floor and permanently laid tatami mats with a training area of 220sqm. There are change rooms and showers. Aikinetic Applied self defense using the basics of aikido. It is recommended students have been training for some time before joining this class. Would you like more information on hours, classes and programs available at Aikido Yoshinkai NSW? Please contact the school with your questions. Update the details, Write a Review or Report Error of Aikido Yoshinkai NSW. This Chart shows the Martial Arts Styles offered most in Marrickville, Australia area. 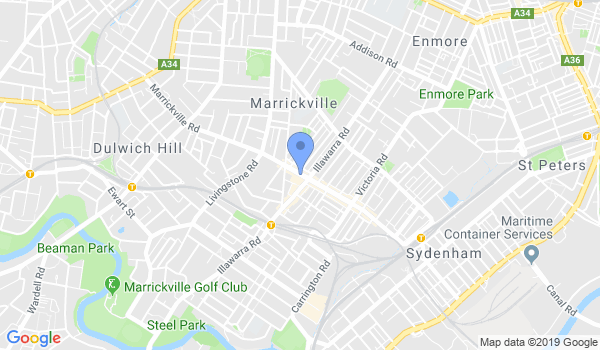 View a list of Dojo in Marrickville, or enter your address below to find schools closest to you.